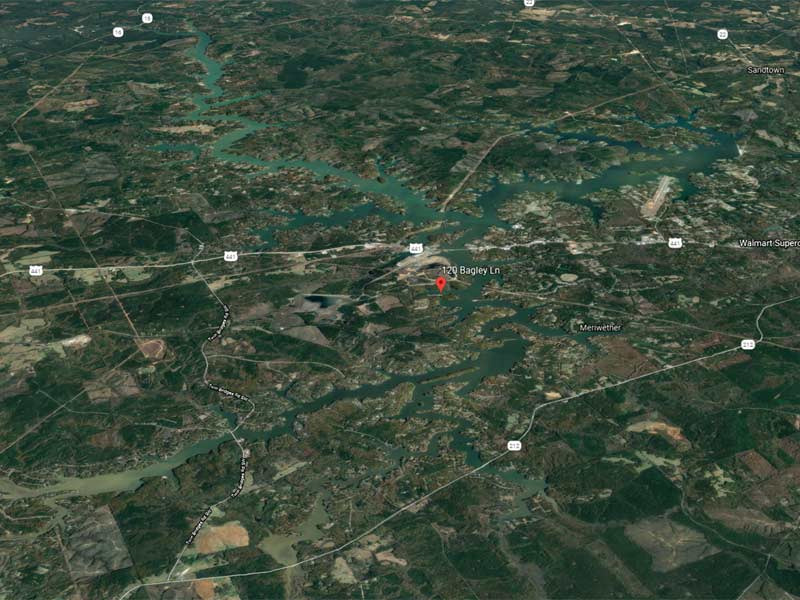 ATHENS, Ala. – Bryan D. New moved up a spot into the lead during the second day of competition in the 2019 Ray Scott Championship, held April 5 on Walter F. George Reservoir or Lake Eufaula near Eufaula, Ala. The Belmont, N.C. boater landed his second consecutive five-fish daily tournament limit to put 51.30 pounds on the board. On the second day, he brought in 25.61 pounds to add to his nearly identical 25.69-pound catch on the first day of competition. Ryan Ingram of Phenix City, Ala. jumped three places into second place. On Day 2, he caught five bass for 23.94 pounds. He capped that catch with a 6.52-pound lunker. On the first day, Ingram put five bass in the bag for 24.69 pounds to give him a total of 48.63 pounds. Moving up five places, Chandler A. Ray of Edsion, Ga., sits in third among the boaters on Day 1 with a total of 46.89 pounds after two days. On the second day, he brought in a limit to add 24.03 pounds to his total. A 6.90-pounder anchored the bag. On the first day, Ray caught five bass weighing 22.86 pounds. Sitting in fourth place, Eufaula angler Scott Montgomery added his second straight five-bass limit for a two-day total of 46.63 pounds. On the first day, he held sixth place with 24.63 pounds and contributed another 22 pounds on the second day. His biggest bass weighed 6.82 pounds. Dropping from third place to fifth in the Boater Division, Bobby Padgett of Lagrange, Ga. caught two consecutive limits going 46.55 pounds. On Day 1, he caught 24.95 pounds including a 6.16-pound kicker. On the second day, he brought in 21.60 pounds. Leading the co-anglers after two intense days of competition, Durward Henderson of Titus, Ala. moved up from fourth place with a two-day limit hitting 25.11 pounds. He landed 12.87 pounds, including a 5-pounder, on the first day and added 12.24 pounds the second day. The Day 1 Co-Angler Division leader, Alan Barrett of Cullman, Ala., dropped a notch, catching only one fish weighing 4.16 pounds on his second day. Adding that to his 15.98-pound catch on Day 1, he holds second with 20.14 pounds. He caught a 6.94-pounder on opening day. 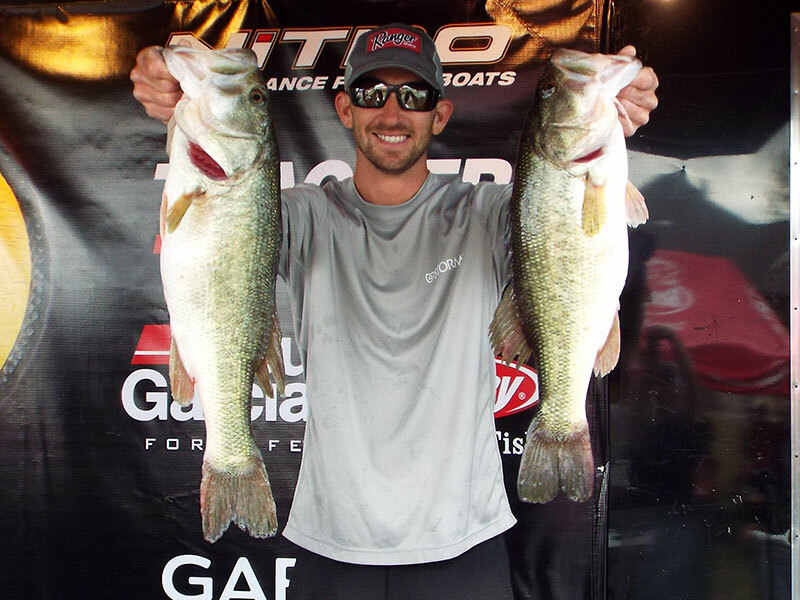 Isaac “Big Ike” Clemmons of Fitzgerald, Ga. leaped from 10th place into third with 18.83 pounds. On Day 1, he caught a three-bass daily division limit for 11.11 pounds and added 7.72 pounds on Day 2 with his second consecutive limit. Chris Pearson of Marthaville, La. vaulted from 74th to fourth place among the co-anglers with a big Day 2 catch weighing 12.87 pounds. That boost gave him a two-day total of 18.43 pounds. He bagged two consecutive limits with his first day sack weighing 5.56 pounds. Rounding out the top five co-anglers, William Woods of Gray, Ga. also landed two consecutive three-fish limits for 18.29 pounds. His first day catch came in at 6.39 pounds, putting him in 62nd place. He followed that performance with a Day 2 catch going 11.90 pounds. This included a 6.83-pound kicker. 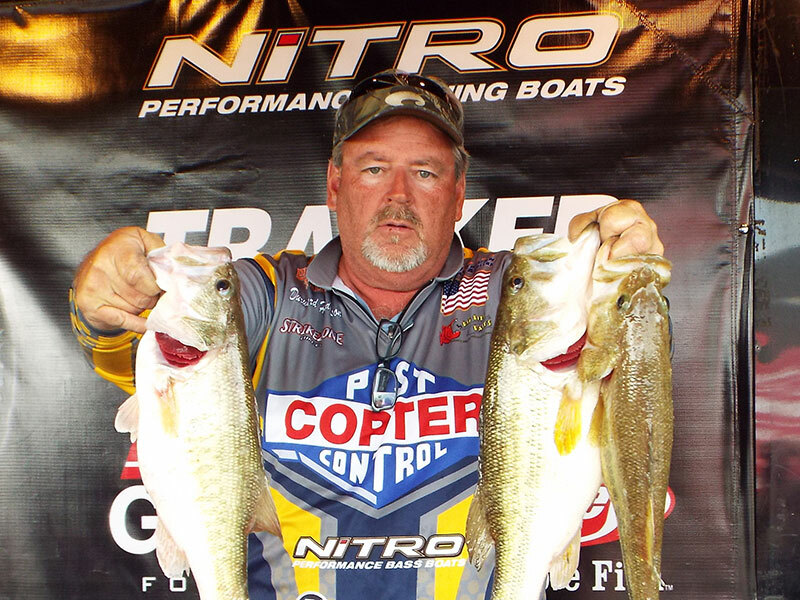 Mike Jones holds the lead in the big bass competition. The boater from Brandon, Miss. pulled in an 8.62-pound pig. Jeff P. Cox of Walker, La., still holds the lunker lead among the co-anglers with a 7.23-pounder he caught the first day. Nearly 200 anglers in each division fished the first two days of the 2019 Ray Scott Championship. Only the top 100 boaters and 100 co-anglers will fish the third day. On the final day, just the top 25 anglers in each division will compete for the championship title. 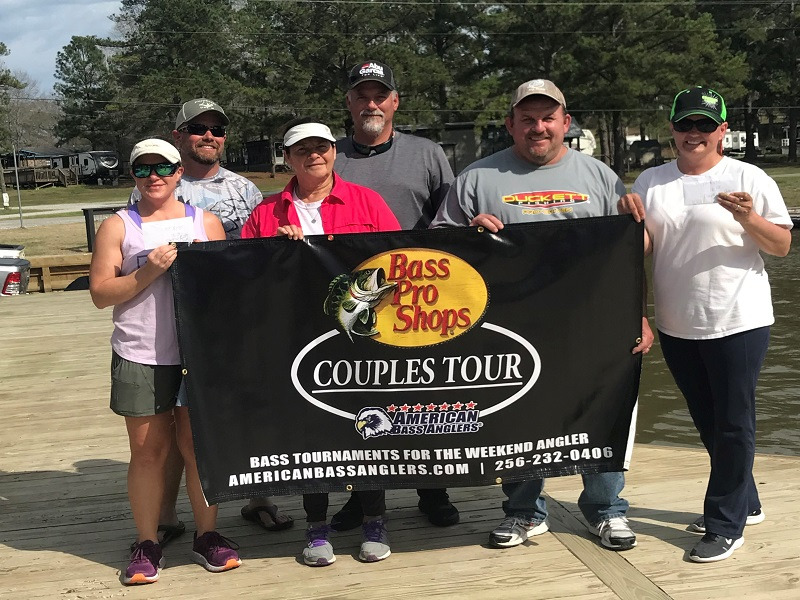 Both boaters and co-anglers qualified by advancing through 18 divisions in the American Bass Anglers Open Series throughout the season and in nine area championships. The champion boater will receive $50,000 in cash plus a new 21TRX Triton boat equipped with a 250-horsepower Mercury Pro XS outboard motor. The winning co-angler will receive $25,000 in cash plus a new 19TRX Triton boat powered by a 225-horsepower Mercury Pro XS outboard motor. Anglers could possibly win bonus prizes of $50,000 from Triton Boats, $1,000 from Mercury Motors, $1,000 from Garmin and $1,250 from TH Marine if they meet specific eligible criteria. The action continues through Sunday, April 7 with the public weigh-ins scheduled to begin at 3 p.m. Central Daylight Time at Lakepoint Resort State Park (www.alapark.com/lakepoint-state-park) in Eufaula each day of the event.